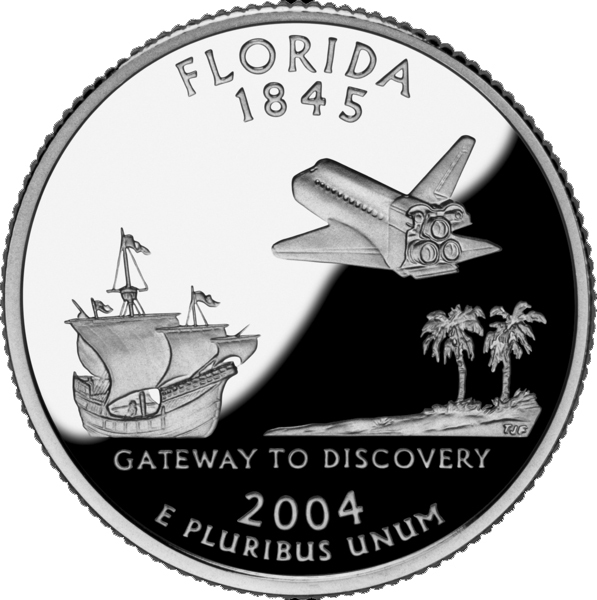 The Florida quarter features sabal palms (the state tree), a Spanish galleon, space shuttle, and caption: "Gateway to Discovery." Florida became the 27th state in 1845. Public domain image on Wikipedia. 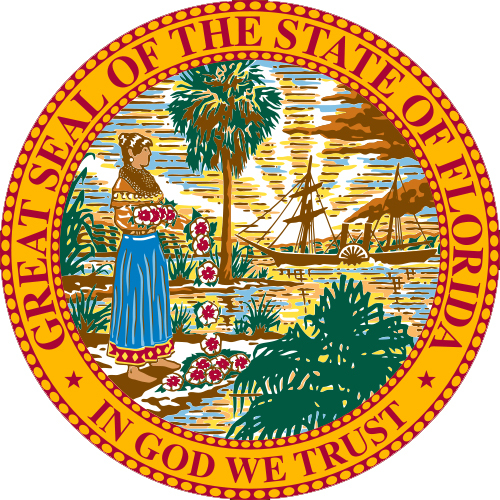 Seal of Florida (public domain image on Wikipedia). 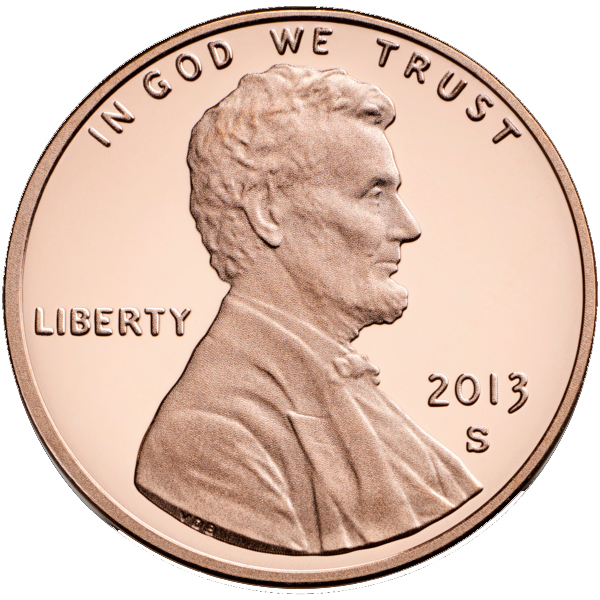 National motto In God we Trust on U.S. penny (public domain image on Wikipedia).